There are 80 species of Geissorhiza, all from Southern Africa, and most from the winter rainfall areas of the Western Cape. These dainty perennial plants are part of the Iris family and mature plants have small pea-like corms. 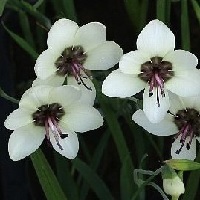 All the Western Cape varieties are winter growing, with flowers coming out in early spring. The corms need to dry off during the summer after flowering and growth starts again in the autumn. The best known plant in this group is Geissorhiza radians, with very attractive deep blue flowers with red centres. 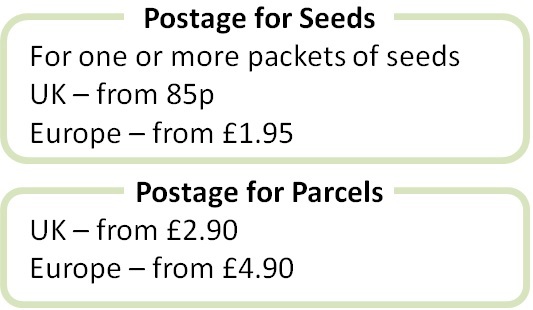 Gardeners should be able to buy corms in the summer from specialist nurseries or start these from seed in the summer/autumn. Geissorhiza inflexa is a beautiful red form, also growing in winter and flowering in spring. Geissorhiza tulbaghensis has big white flowers with dark blue centres, and Geissorhiza aspera has blue/violet flowers, also in spring. Most Geissorhizas are half hardy, and need to be protected from hard frosts. They are generally best grown in pots, as they are small in size, and can be moved around the garden during flowering and protected over winter. They can be naturalised in grasslands in the very mildest parts of the UK, but their leaves can easily be mistaken for grass and they should not be mown, so take care! By division: New plants can be created by removing the offsets from mature corms during the dormant period in the summer. By seed: Seeds should be sown in summer/autumn in trays of well drained seed compost with a very light sprinkling of vermiculite or fine sand. Immerse the tray in water when moisture is needed. Keep at 10-20°C and germination takes 4-6 weeks, sometimes longer. Seedlings should be grown on into the second season and given a liquid feed every couple of weeks to help a small corm to develop, and then planted into final pots. Flowering starts in the second season in ideal conditions, otherwise in the third season. Geissorhizas grow best in sun or part shade and in well drained soil. Corms can be left in their pots after flowering and allowed to dry out or lifted and stored in a cool dry place. Dust the corms with antifungal powder. Replant in the autumn and keep watered during the winter, when the plants should be growing, and protected from hard frost. Protect young plants from slugs and snails and consider spraying with an insecticide to deter thrips and aphids.